The average French person will immediately associate the word “carré” with the magnificent silk scarves by Hermès. But for a much younger audience, it is becoming synonymous with Atelier Choux, a young French brand who offers elegant and functional multi-purpose carrés to carry in the diaper bag. Atelier Choux’ signature carré is an everyday essential : a light blanket, to change a baby’s diaper on the go, to create some shade privacy, for swaddling, to wipe baby’s face, as a tummy time blanket, to protect your shoulder when holding a young petit choux, and more. I am sure that with time passing, the carré becomes a “doudou” that children take everywhere to feel comforted and to fall asleep. Atelier Choux produces all their carrés in France with high attention to detail and the ambition to meld art and artisanship. Their production processes are also environmentally and socially conscious. The delicate lovely illustrations adorning the fabric are by Swedish illustrator Mattias Adolfsson. From his studio in Sigtuna across from Lake Mälaren that borders Stockholm, Mattias fills the pages of his Moleskine journals with kind robots, gentle animals and elaborate architecture, often in pastels and always with a touch of humor and fantasy. Behind Atelier Choux : Daniella and Nicolas, a French-American couple living in Paris. Their professional experience include investment banking, strategy consulting, simultaneous night and weekend courses in wood-working and metalsmithing, and more recently, full time parenting! Entrepreneurs at heart, they always dreamt to work together on a creative venture combining art and artisanship. Mission accomplished with Atelier Choux whose concept, story and product are truly engaging our senses and emotions. The Atelier Choux family of artisans is slowly growing, each of them bringing unique ‘savoir faire’ to the equation. Next after the carrés? Clothing, bedding, wallpaper, wall-stickers are on their way. It’s just the beginning. Chou! 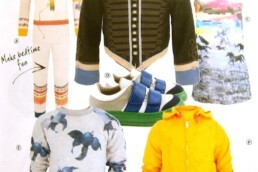 Available at www.mineminekids.com, Le Bon Marché (Paris FRANCE), Kodomo (Boston USA), Kore +nashville (Nashville USA).